Funded by University Research Grant 2011 for young scientist. The purpose of this research is to develop a friendly interractive receptionist robot.The robot will be driven with various actuators; DC motor with encoder for wheels, digital servo motor with position/load feedback for hands, general servo motors for eyes, and stepper motor for turning body. 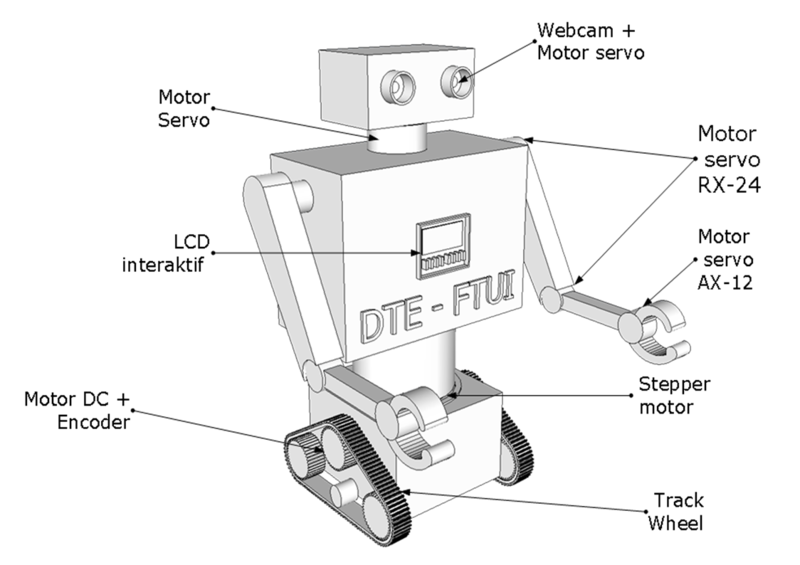 Having position and load feedback on hands also with estimated torque on wheels, robot motion will be able to adjust movement command based on tactile sensing of surrounding. Thus, robot will be safe for nearby human. Moreover to extend human-robot interaction, a well-known cellbot will be adopted on android platform. Also, an image-processing will be done through stereo webcam along with sonar based proximity sensors to provide localization. Funded by Toray Research Grant 2010. The purpose of this research is to enhance mobility of search and rescue robot (S&R Robot). Mainly, S&R robot are controlled remotely by operator from outside. Advanced techniques have been recently develop world-wide on the robot so the robot may walk on ruin, some may jump. However, uncertainty is the main key to be solved. Even the most advanced S&R robot is not stuck-free on uncertain ruin. In which, the robot is not programmed to escape from undefined stuck condition. 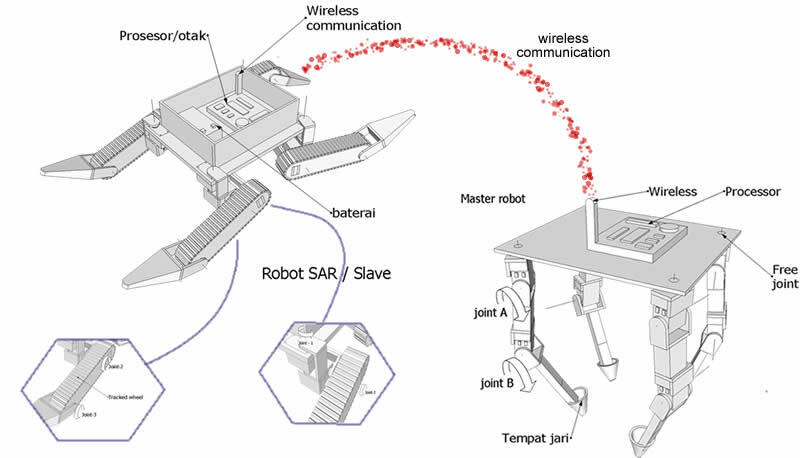 For that purpose, the S&R robot is designed to be operated based on slave robot with predefined kinematic similarities. 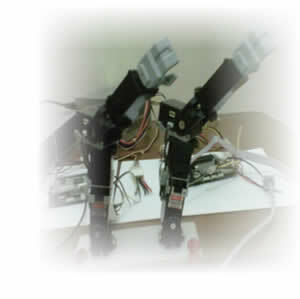 in order to test bilateral sensation in multi degree with serial servo, the following prototype is realized with 3Degree of Freedom (DOF) on each hand. Mainly in colaboration with Dr. Wisnu Jatmiko (Faculty of Computer Science) funded by Ministry of Research and Technology of Insentif Research Grant 2008 & 2009. 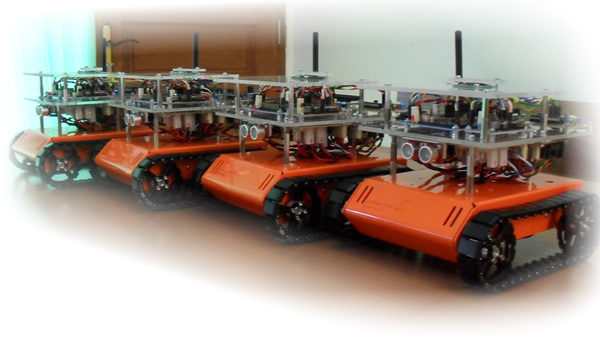 The ACONICS Research Group contributes on Robot Development. Each robot has independent tracked wheels with compass, wireless serial, ultrasonic range and gas sensor. Mainly self-funding research during 2008-2009. This platform uses brushless motors. 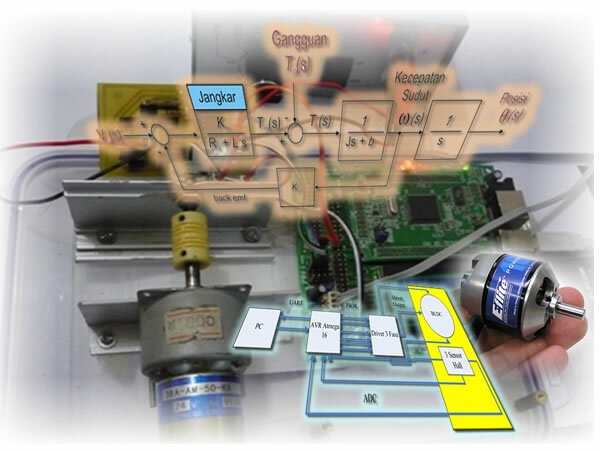 Numerous works have been done to build this platform, includes ; building speed controller for brushless motor, inertial measurement unit, navigation system, etc. Mainly self-funding research on 2008. This research is mainly continous research from former research at Keio University while Dr. Abdul Muis in PhD course. 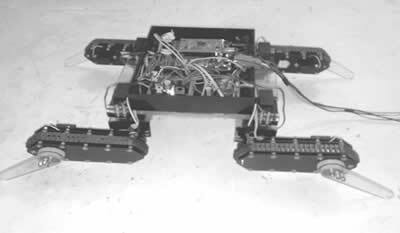 During PhD research in Japan, the robot is developed by high precision and high quality motor and sensor. Returned to former university, obtaining high precision and high quality motor, sensor and other parts are difficult. 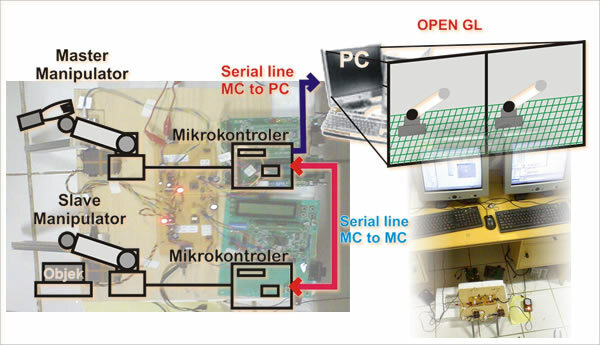 For that purpose, implementation with embedded system and low cost hardware are considered. Mainly self-funding research until now. Obtaining how far Land Vehicle such as mobile robot have travelled is realized by odometry based on how much the wheel have turned. However, for unstructured environment such as on ruin either off-road yields more slip on wheels. Thus, odometry is useless. For that purpose, the group has done certain research utilizing other sensors. Here, we use inertial measurement unit (IMU) with accelerometer and gyro. However IMU is too sensitive for recursive error. 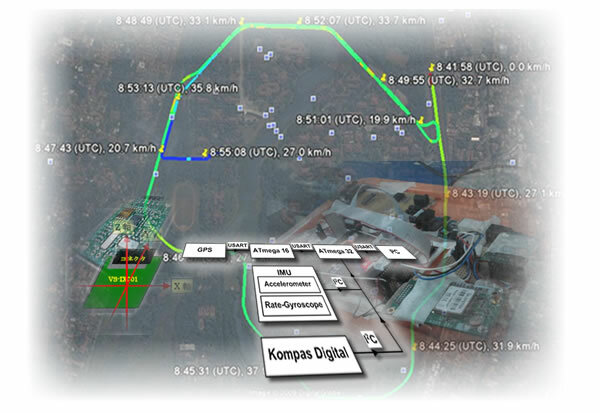 To resolve that problem, the group integrates IMU with Compass and GPS for compensation. Unfortunately, these sensors have lot of noise. For compensation, we use Kalman Filter. 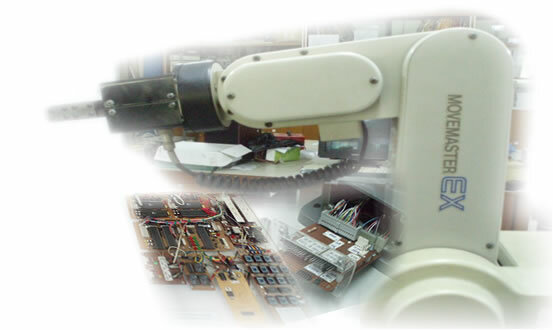 This 5DOF serial manipulator have been in control laboratory since more than 20years ago. Unfortunately the control unit box was broken. 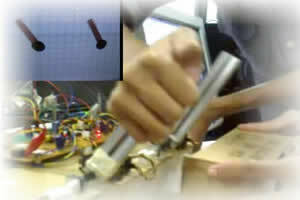 For that purpose, we build own controller with microcontroller. Although not perfect as the old control unit, the manipulator is now ready for demo.